Do you think the U.S. should have a travel ban for people coming from Ebola-inflicted countries? We discuss the role of the new EbolaCzar, the likelihood of a travel ban and Obama's efforts to build a global effort against this endemic disease. Also, what the Federal Reserve, Treasury and Wall Street tell us about national economic anxiety. A preview of the issues, personalities and tight races in the midterm elections. Plus, the resiliency of ISIS and Obama's coalition-building strategy to fight the terror group. 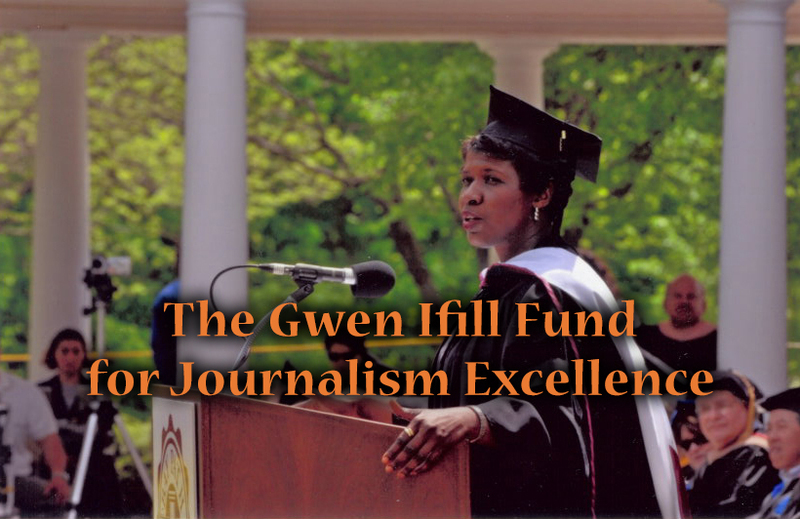 GWEN IFILL: On Ebola, the economy, midterm politics and the fight against ISIS, it’s all scary. What do you really need to know? We’ll tackle it all tonight on “Washington Week.” The Ebola scare reaches Washington. REPRESENTATIVE FRED UPTON (R-MI): (From videotape.) It’s not a drill. People’s lives are at stake. And the response so far has been unacceptable. PRESIDENT BARACK OBAMA: (From videotape.) I am absolutely confident that we can prevent a serious outbreak of the disease here in the United States. But it becomes more difficult to do so if this epidemic of Ebola rages out of control in West Africa. MS. IFILL: The nation’s health officials on the spot, a czar in place, and new shoes dropping every day. Health jitters overwhelm economic jitters, obscuring good news. SHAUN DONOVAN (director, Office of Management & Budget): (From videotape.) Those more than 10 million new jobs that we’ve created have made a real difference in people’s lives. MS. IFILL: But the stock market just won’t settle down. Meanwhile, from Florida to Kansas to Kentucky, the candidates are debating. SENATE MINORITY LEADER MITCH MCCONNELL (R-KY): (From videotape.) There’s a great likelihood that I will be the leader of the majority in the Senate next year. U.S. SENATE CANDIDATE ALISON LUNDERGAN GRIMES (D-KY): (From videotape.) We have to have a senator that actually realizes what the realities are here in Kentucky. MS. IFILL: And the war against Islamic State forces turns into a grinding, long-term battle. REAR ADMIRAL JOHN KIRBY (Pentagon spokesman): (From videotape.) It’s not Whac-A-Mole. We’re not going after – you know, the idea isn’t to just put a warhead on a forehead every single day. MS. IFILL: What has the U.S. committed to? And who else is helping? Covering the week: Josh Gerstein, senior White House correspondent for Politico; Eamon Javers, Washington correspondent for CNBC; John Dickerson, political director for CBS News; and Hannah Allam, national correspondent for McClatchy Newspapers. In the brave new world of single-subject news obsessions – missing planes, imminent war, scandals at the VA and the Secret Service – this week’s news about the spread of the Ebola crisis has been the most unsettling. It brought members of Congress back to town for a contentious hearing and forced the president to scrap his schedule and appoint what he called an Ebola response coordinator. Set aside for a moment how many Americans will ultimately be affected by Ebola. We know that thousands have already died, and thousands more are infected in West Africa. THOMAS FRIEDEN, M.D. (director, Centers for Disease Control): (From videotape.) I will tell you, as the director of CDC, one of the things I fear about Ebola is that it could spread more widely in Africa. If this were to happen, it could become a threat to our health system and the health care we give for a long time to come. MS. IFILL: As the landscape of infection has shifted every day, it’s grown more difficult to distinguish between concern and panic. And that’s why the government – belatedly, some say – now seems to have all hands on deck, starting with the new White House coordinator, Ron Klain. Tell us about him, Josh. JOSH GERSTEIN: Well, he’s really the consummate Washington insider. He’s been chief of staff to Vice President Biden, and before that to Vice President Al Gore. He’s known for his relations with people on Capitol Hill, as well as with unions, state and local governments. The White House is touting his experience in particular with the recovery act as sort of his management chops. But he’s not exactly the person a lot of people thought would be picked – someone like a prominent medical doctor or maybe a military general. So it was a little bit of a surprise. And it’s not clear that he’s really going to be the public face of this effort that I think a lot of people expected. It looks like the president may keep doing that part. MS. IFILL: Well, he is president. But people keep asking – we keep calling it the czar. Republicans keep calling it a czar. They used to hate czars, but now they like czars. MS. IFILL: And – but he seems to be more of someone who’s like an overseer. That seems to be the White House’s idea about Ron Klain. MR. GERSTEIN: Yeah, that he can sort of make the mechanics, the wheels and various pulleys, of government operate more efficiently here. But he’s not the person you would necessarily pick to be the public communicator, and he doesn’t have the kind of public health experience or medical experience. Clearly they think this is a problem with coordinating what the government is doing, and I think also this issue of particularly coordinating between the federal government - and, you know, the boots on the ground here are primarily not federal boots. We’re talking about hospitals, local health departments, state health departments. And they think he’s best suited for that task. MS. IFILL: And foreign health departments as well, in other countries. EAMON JAVERS: Josh, part of what’s kind of freaked people out here is the degree to which people who’ve been associated with Ebola have been allowed to travel all over the country and been able to get out on planes, on a cruise ship in one case. One of the things that’s puzzled me about this whole thing is it doesn’t seem clear exactly what the legal authority is for the government to issue these quarantines and actually force people to stay in their houses if they think this is a person who might be a threat. What is the government actually allowed to do? MR. GERSTEIN: Well, this is really interesting, because this goes all the way back to the Bush administration. They started an effort to update the federal government’s quarantine powers. And it immediately met with push-back from civil liberties groups and from both the airline industry and the cruise industry, who said we don’t want to keep all this data. We don’t want to be responsible for this enforcement. And the civil liberties groups were concerned that this really went too far in terms of collecting information on people and the powers to confine them. The Bush administration never finalized those rules during the three years after they proposed them. The Obama people picked up the rules, started working on them again, and then threw up their hands in 2010 and never went back to them. MR. JAVERS: What can they do, ultimately – put a sheriff in front of the house and say you can’t come out? MR. GERSTEIN: Well, at this point it’s really primarily a state and local effort. They’re the ones that have the old quarantine authorities. There are some the federal government has as well. But there are questions about how valid or enforceable the federal government’s authorities are since they really haven’t been used in decades. JOHN DICKERSON: Can the federal government do any – there’s a lot of talk about a travel ban. Where is the White House on that? Politically it’s getting a lot more pressure. You see Democrats now saying they’re behind it. Where does that stand now? MR. GERSTEIN: Well, you know, the president has said now, finally, that he’s not philosophically opposed to a travel ban. But the White House has been pouring cold water on this all week. And it does seem that there’s a very broad consensus among the public health experts that this wouldn’t work. The argument – I don’t know why the White House turned to it so late – was that people will just very easily try to work around this, and perhaps work around it in a way that’s rather dangerous; like, right now the government thinks it has a pretty good idea when people travel to this country, where they’re coming from. If they’re coming from a place where they’ve possibly been exposed to Ebola, they can be screened and interviewed. If they were moving to other countries, breaking up their trips, say, trying to travel to Europe by land and then fly to the U.S. from there, it might be really impossible to know. And I think that’s more frightening to the public health officials than the possibility that someone could come directly from one of these countries. HANNAH ALLAM: Well, that’s what I was wondering. I mean, now we have someone coordinating on the U.S. side. But what about internationally? Is there a collective global effort? MR. GERSTEIN: Well, I mean, the U.N. has been trying to organize something. But we’ve heard a lot of grumbling from U.S. officials just in the last couple of days, including Secretary of State Kerry, saying that it hasn’t been a serious effort globally. Even President Obama has been on the phone with European leaders saying you really need to step up here. We heard some somewhat odd and rare praise from Kerry for the Cubans for sending more than 100 doctors over there to work on this problem. But the White House definitely thinks it’s something that the rest of the world has not taken as seriously as it should, and perhaps in that way has contributed to this getting out of hand. MS. IFILL: Dealing with reality and dealing with panic, not necessarily the same thing. MR. GERSTEIN: Thank you so much, Gwen. MS. IFILL: While the world was in an Ebola crouch, the Obama administration was trying to break through with a bit of positive news. The federal deficit, once thought to be the national Achilles heel, has dropped pretty dramatically from the trillion-dollar highs of the president’s first term to $483 billion now. It doesn’t sound like much, but it’s the lowest since 2007. Plus jobs and corporate earnings numbers are headed in the right direction. I asked Treasury Secretary Jack Lew why, if things are so good, Americans don’t seem to be feeling it. TREASURY SECRETARY JACK LEW: (From videotape.) Conditions in 2009 were really bad. And it leaves some bruising that takes some time to get over. I think right now we’ve been in an extended period where Washington hasn’t been getting to the brink of a crisis, where they’re seeing the economy begin to grow. And our job is to continue that. MS. IFILL: And then there were those crazy stock market gyrations, Eamon. MR. JAVERS: It was pretty wild. MS. IFILL: So what are we supposed to read into all of this? MR. JAVERS: Well, we’re supposed to hold on to our hats and see what comes next. I mean, we saw a couple of days this week where we had multi-hundred-point swings in the Dow. At one point earlier in the week we had 450 points off the Dow in one morning. It rallied back. But all of that is a return to volatility that’s really scary if you’re not used to this. And we’ve been through a relatively placid period. Part of what’s going on, actually, is Ebola is sort of the background noise. The markets hate uncertainty. And the Obama administration has been trying to get this good news that you’re talking about out there. But with all of this in the backdrop, it’s just so hard for them to get their message out. MS. IFILL: But it’s not just about the deficit, which, you know, deficit hawks are going around saying it’s not over yet; it’s not over yet. But there’s also housing numbers, which are good; corporate earnings reports, which are good; jobless numbers are good. MR. JAVERS: The jobs have been great. I mean, we’ve been seeing 200,000-plus job growth for month after month after month. It’s the kind of number that really will take the country back to the level where we need to be over time. The problem is wages have not been really keeping up as well. And so when you see these jobs that are created not being great high-paying jobs, that’s part of the problem, and people don’t feel it. And then there’s a sense of anxiety, I think, a hangover, as Jack Lew was saying, from 2009, when we saw this great global financial collapse and we realized, wait a second, all of this can go away. So all of these gains that we have right now, I think, feel very fragile, and people don’t believe in them yet. And that’s the point where you need that confidence to turn over and things to really start turning for the American public. MR. DICKERSON: - or deal with the emergency that Jack Lew was talking about from `07 to `09. So where are they in this economic picture? MR. JAVERS: They’ve been slowing down their bond-buying program. They’ve had a massive stimulus. The political discussions have all been focused on the spending stimulus, but really the Fed’s stimulus of the market has been much, much bigger. They are slowing down, doing what’s called tapering, and slowing it down gradually and trying to bring this thing to a soft landing. And what markets are worried about – a lot of the background conversation on Wall Street this week was will the Fed taper at the same pace going forward? Is there going to be an unexpected problem here? And then what happens at some point when they need to raise interest rates? Is this economy ready to take the training wheels totally off and grow on its own, or does it still need that? If the Fed raises rates and the economy is not ready to go, it could be a problem. And so there’s some nervousness in anticipation of that. MS. IFILL: That’s all anybody would be talking about, yeah. MR. GERSTEIN: Could this help people’s anxiety about the economy? MR. JAVERS: I think it’s one of the things that we haven’t really focused on enough this week is the real crash in oil prices. You’re seeing gasoline prices at the pump coming down pretty dramatically. And I’ve seen people on Facebook, friends of mine, taking pictures of the gas prices in their neighborhood and posting them to Facebook because they’re so amazed at how low it’s getting. All of that has a real stimulative effect in the economy, because people have more money in their pockets. They’re able to spend it. And they usually spend it right away, because they’re used to spending it on gas. Now it’s freed up to spend on other things. It should have a significant impact. What scared people on Wall Street a little bit this week was that it came down so fast that there was a little fear of why is this happening and what’s going on. But ultimately, for consumers, it should be a good thing in the long run. MS. IFILL: When we talk about the stock market, the other thing we don’t talk about enough, it seems to me, is that there is a global component to what drives this. The U.S. looks actually strong, these ups and downs, more than Europe does. And it’s Europe - worries about what’s happening there that’s driving the instability here. MR. JAVERS: Yeah, absolutely. Europe is definitely holding the United States back at this point. And there’s some question about whether China is going to go into some kind of a slowdown or the rate of growth in China is going to slow over time. That will have real implications for the United States. So to the extent to which the Fed and Treasury and Wall Street are trying to deal with all these things, we have to bear in mind that there’s a big world out there, and it really does affect in very real time what’s going on here. So it’s hard for them to plan and really have any kind of control or ability to seize control of events at this point. We’re still counting down to election day, and every week brings another interesting shift in the political landscape. This was a week of debates, trivial sparring, virulent ads. And although Republicans are still favored to take over the Senate, many of the most critical races are still up in the air. At this point, are we playing checkers or are we playing chess, John, if you know what I mean? MS. IFILL: I do not. MR. DICKERSON: - from “The Price Is Right.” It was basically a maze up on a wall, and each contestant got a chip about the size of a butter plate. And you dropped it down, and the chip would bounce back and forth and back and forth, twists and turns. And maybe it would line up in the jackpot place and you’d win some money. But it was always very unlikely. MR. DICKERSON: Here’s why that’s not just a bit of nostalgia, but a useful metaphor, which is that there are about 10 races where the Democrats are on the defensive, and they are all very close. And there are lots of twists and turns. And for the Democrats, the jackpot is really just holding on to control of the Senate. And just to review the bidding, Republicans need to take six seats away from the Democrats of those 10 opportunities they have to do that. Two of those seats are pretty much already gone, in Montana and West Virginia. So that means they have to get four. Republicans need four more seats out of the remaining eight the Democrats are defending on. And so that looks pretty good for Republicans, except that in those remaining eight races, it’s very, very close; lots of twists and turns. And that’s about where we are in the global picture. And I should say there have been some last-minute surprises in South Dakota, which was considered gone, Republicans considered to have won that. That race is now in contention; then, of course, in Kansas. MS. IFILL: Are there overarching issues? I mean, it’s hard in the midterm (when it’s ?) state races. But I wonder if there are overarching issues that people are actually talking about, not just personalities. MR. DICKERSON: Well, the issues – if you’re a Republican, the issue is the president. In one of the debates, Tom Cotton, who’s the Republican congressman who’s running for the Senate in Arkansas, mentioned Barack Obama in almost every answer in the debate and tried to tie him to Mark Pryor, the incumbent Democrat, because – so for Republicans, the issue is Obama. And now, with the Ebola response and the criticisms of the president, this is the latest – they would say, Republicans would say, the latest in the incompetence from the administration. And these are candidates who are tied to that. The Democrats, the message is disparate. It is mostly targeted at these – at interest groups. So in the debate in Colorado, you have Mark Udall, the Republican – excuse me – the Democrat hitting on his Republican about his position on a personhood bill that would have basically outlawed abortion, also restricted some birth control. Why is he doing that? An important issue, but a very important issue to women voters, which Democrats need to turn out. MR. JAVERS: One of the things that we saw this week that was eye-opening to me was Democratic candidates on the stump refusing to say whether or not they voted for Barack Obama for president. Can you explain the political calculation of a politician deciding that they’d rather look evasive than look like a Democrat? MR. JAVERS: Right. I mean, that’s the actual choice they have. MR. DICKERSON: This is how toxic the president is for every Democrat who’s running. It’s no surprise, if you’re a Democrat, that you probably voted for the president. But Alison Lundergan Grimes, in her debate, and Michelle Nunn in Georgia – Alison Lundergan Grimes in Kentucky in her debate was asked this. It was the second time she was asked it in a couple of days. She wouldn’t admit to it. I think the calculus is this. If you say it, there is no way you can say that you voted for him in such a clever way that it will not end up in a 30-second ad immediately. When Barack Obama said in a speech about the economy there’s no mistaking that these policies are on the ballot, it was in a Republican ad like that, because Republicans have been running consistently for the last year and a half saying Obama, Obama, Obama. So if you say yes, there is no way you can say it and not have that show up in an ad. And that could be painful. So you take the short-term hit – people say you’re being evasive – but you don’t take the bigger hit of it being in an ad all day long. MR. JAVERS: Because running for office, one of the questions is, you know, what are your politics? And you might want to know who they voted for in the previous election. MR. DICKERSON: Right. Well, they’re trying to explain everything else about their politics but that fact. MR. JAVERS: (Laughs.) Got it. MS. IFILL: So let’s talk about – let me throw out some states, just for the heck of it. North Carolina. MR. DICKERSON: Well, North Carolina is the one bright spot for Democrats in that Kay Hagan was supposed to be – the Democrat was supposed to be doomed in that race. This is going to be the most expensive Senate race of all of them out there. And she is a little – a few points ahead of Thom Tillis, the Republican, mostly because she’s been staying local, focusing on the cuts that were made in education in North Carolina and using that against Tillis. But that’s one - on election night, if there are a string of Democratic losses, that’s one where they think they might be able to win. MS. IFILL: There are some states where it just seems like they’re out of reach that weren’t before, like Iowa; Colorado you mentioned. MS. IFILL: They’re trending differently. MR. DICKERSON: Out of reach – well, the Democrats would never admit that they’re out of reach. MS. IFILL: They wouldn’t admit it, but things are trending. MR. DICKERSON: They were hoping – Democrats were hoping not to have a problem in Iowa. It’s a state that President Obama won his big victory in 2008. He won twice there in the general election. They have a good ground game. They thought that would be OK. But Bruce Braley, the Democrat, a congressman, has had one stumble after another. And Joni Ernst, the Republican, is – a state senator – has run a pretty good campaign. But the real thing to watch for is not the individual states in terms of how they turn out, but whether, on election night, we’re going to actually know who controls the Senate. MS. IFILL: We’re not going to know, are we, necessarily? MR. DICKERSON: Georgia and Louisiana both have rules where, if you don’t get to 50 percent, there’s a runoff. The one in Georgia, the runoff is in the new year. And then you have the question of those two independents who are running. Who are they going to caucus with? MS. IFILL: Who knew that an election year – that 2015 would actually be an election year? It could very well be, at least in Louisiana. One more. The shifting sands of politics extended to the shifting sands of warfare as American forces continue to – continue the effort to defang the Islamic State forces, still gaining ground in Iraq and Syria. Attacks increased in Baghdad as relief arrived in the Syrian city of Kobani, near the border with Turkey. And U.S. officials continue to warn against a quick fix. ADM. KIRBY: Everybody needs to have a sense of strategic patience. Airstrikes are dynamic. They’re exciting. You can count them. You can get great video of them. I understand the drama around airstrikes. But we’ve said, A, airstrikes alone are not going to do this. Military power alone is not going to do this. And it’s going to take some time. MS. IFILL: Take some time. That’s become the mantra in all of this, hasn’t it, Hannah? MS. ALLAM: It certainly has. If anyone still thought that this was going to be a quick or easy fight, that’s totally not what the Pentagon is saying. In fact, General Austin, CENTCOM commander, so the man in charge of the military effort against ISIS, or ISIL, or Islamic State, as we all know the acronyms, said today, in response to just about every aspect of this battle, that it was going to take time, suggesting years to build up an Iraqi force, a viable ground force. And in that case, it’s not a train-and-equip mission but a retrain and a reequip mission after the forces collapsed over the summer. On Syria, they’re just at the very beginning of handpicking what’s essentially going to be a new U.S.-backed paramilitary force there. MS. IFILL: Are they surprised at all at the resilience of the Islamic state, or did they expect this to be so difficult? We heard Admiral Kirby saying, oh, this was never going to be Whac-A-Mole. But it feels like we kind of expected it to be. MS. ALLAM: Right. I mean, there are worries that this is going to put the U.S. on a hamster wheel; that as long as ISIS keeps attacking and attacking, the U.S. will have to keep beating it back with airstrikes in the absence of a ground force, which is for now the most elusive part of this strategy. MR. DICKERSON: Hannah, do we have any sense of how long this training is going to take? I mean, you mentioned in Iraq there was a lot of training done, and it just melted away under the kind of passion that ISIL has. So why is it going to work now? And if it is going to work, how long is it going to take to build up these two necessary forces, as we just heard, to get going? MS. ALLAM: And that’s the question. It’s – you know, in Iraq it was $17 billion worth of training for the security forces, another $8 billion for the police. And again, they melted. Now the projection is that they’re going to reconstitute some of the best parts of that, as well as build a Sunni national guard-type entity to police Anbar. But again, all of these are in the recruitment phase right now. And meanwhile, the Iraqi government is being forced to rely on Iranian-backed Shia militias to fill the security vacuum. And so you have these strange situations where the U.S. military is providing air cover for Shia militias that only a few years ago were killing Americans. MR. JAVERS: What do we know, if anything, about who we’re actually fighting over there? I mean, you hear these reports of foreign fighters coming in from all over the Middle East and elsewhere, including Americans. We also hear about Syrians. We hear about Iraqis. And who are the actual fighters that we’re going to be in combat with? MS. ALLAM: Well, that’s a hodgepodge as well. Certainly in Iraq ISIS could not do this alone. And they have help from former Baathists from Saddam’s former regime, some tribes, because, again, they were able to capitalize on an existing Sunni uprising against the sectarian policies of the Iraqi government. So that’s Iraq, as well as now the extremist foreign jihadists coming into that country. And, you know, they like to say they – (inaudible) – and now go back and forth. And so it’s not a conventional battlefield. People will come from Libya, Tunisia, Egypt, as we know, even America and Europe, and will fight there for a while, particularly in the regional countries. They’ve been known to go back and forth, take a rest, check on family matters, and return to battle. And that’s actually causing some tension. When some of the fighters who fought alongside ISIS go back to their local communities, especially in unstable places like Libya, and want to espouse ISIS ideology, that’s at odds with either a more moderate local Islamism or the efforts of a civil democratic government. MR. GERSTEIN: Hannah, can you talk a little bit about the rifts in the coalition? It seems like, especially with Turkey, we’ve been having a lot of problems between the U.S. organizing. Is that hampering the effort to put together a coherent ground force, to deal with the problem of Kobani, for example. MS. IFILL: You have time for a brief answer. MS. ALLAM: The U.S. likes to say, no, Turkey is committed. It’s – the shape of that role is not yet clear. But clearly, you know, they do want Turkey to take more of an active role. They’re playing down the military aspect of it for now. MS. IFILL: There are a lot of strange bedfellows and strange non-bedfellows involved in this. Thank you very much, Hannah. We’re out of time for now, but we plan to keep on talking online. You can join us there on our “Washington Week” Webcast Extra, streaming live at 8:30 p.m. eastern and all week long at PBS.org/Washington Week. Among other things, we’ll dig into the voter ID rulings that could determine who gets to the polls this fall. 58 min 21 sec ago. 1 hour 25 sec ago.